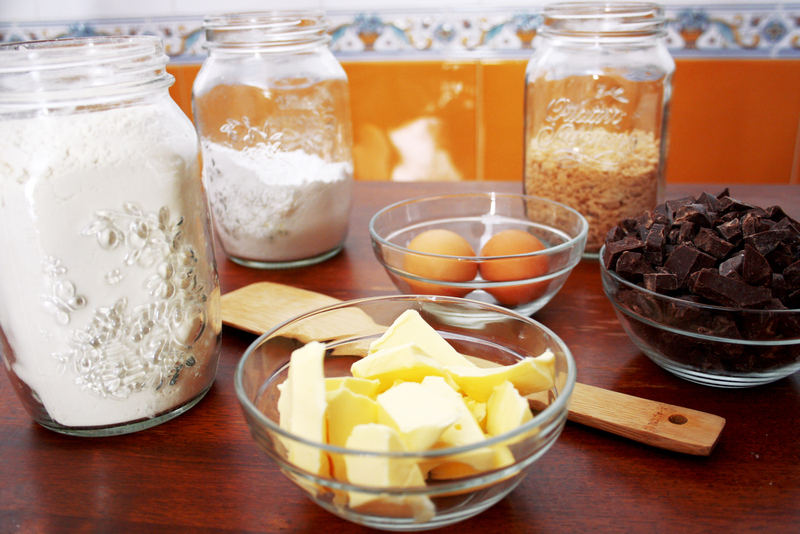 It’s super easy chocolate chip cookies time ! It’s my go to recipe if I have impromptu guests and wanna whip up something fast but extremely yum. 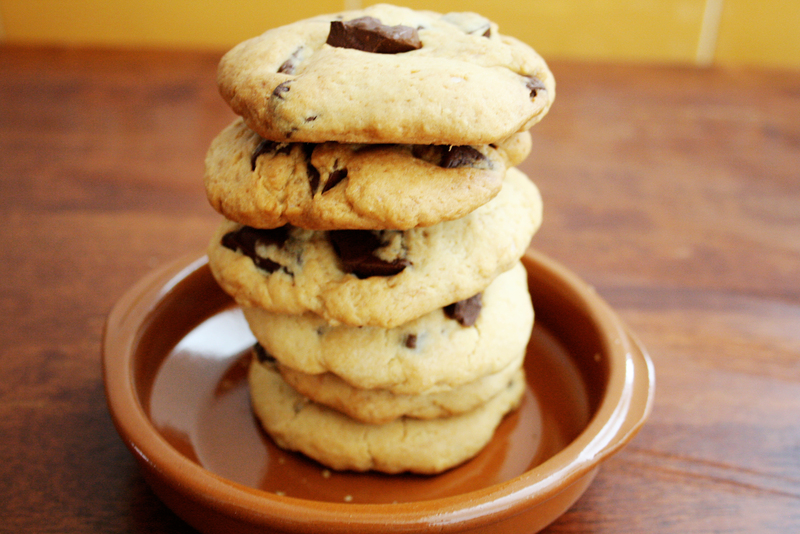 Once you get the hang of it, cookies are easy peasy. And these are so tender, so moist and crumbly, that you probably won’t just have one. 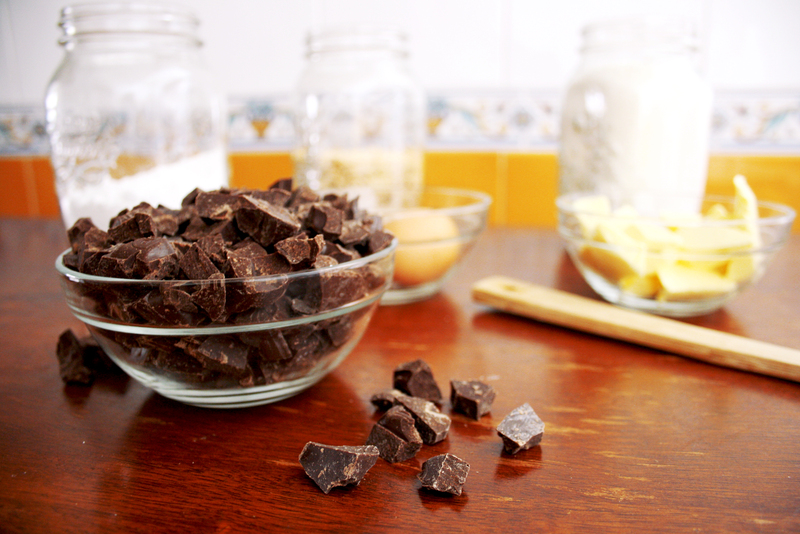 I’m not a big believer in chocolate chips so I buy regular chocolate that I chop in chunks. It’s tedious work but I like my cookies to have a nice amount of chocolate, not just a little sprinkled here and there. It’s a personal preference so if you like premade chocolate chips you go for it. 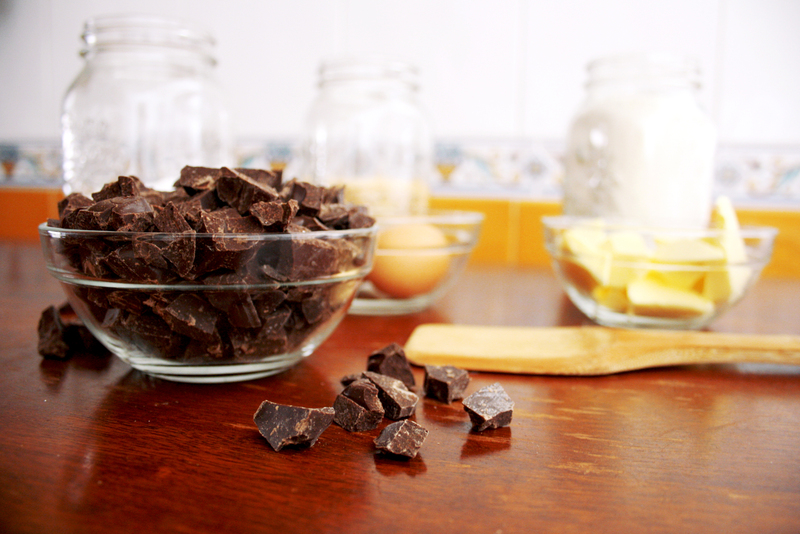 If you choose to skip the chips though, there’s no other way around it to be honest; when you buy your chocolate in bulk, chances are it won’t taste really good. So save up on oher things and buy yourself a nice bar that will make you hate everything while cutting it, and ask yourself if it’s really worth it. Trust me, it is. Line your regular baking pan (the one you already have in your oven) with non-stick baking paper. Pre-heat your oven to 175 degrees C.
Cream your butter with the brown sugar and the powdered sugar until all combined. Add the eggs and a little pinch of salt and whisk. And you’re done ! No but like the most important part is done. 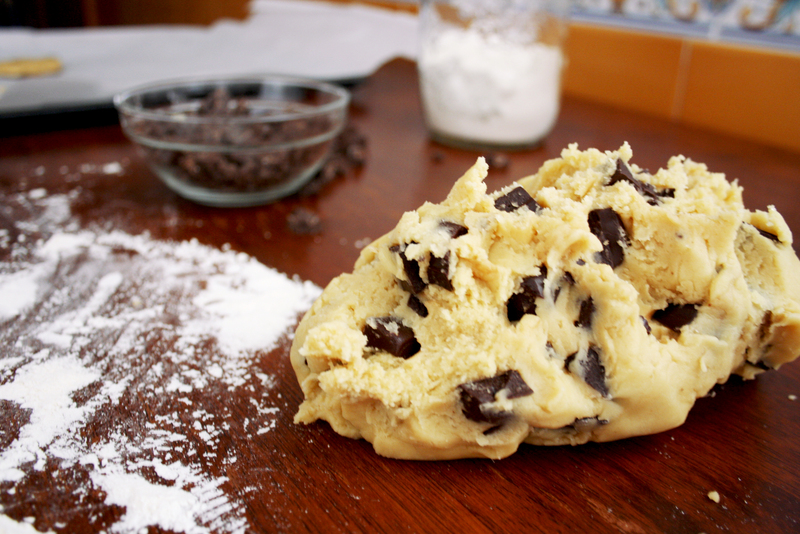 Now all you have to do is add your chocolate and incorporate it to your dough with your hands. Make little round shapes and press them with the palm of your hand so you can make them as flat as you like. 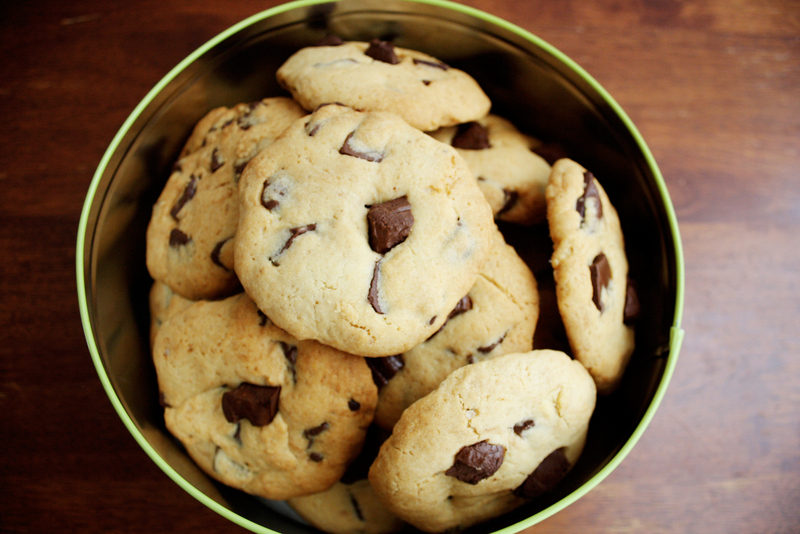 Bake them for 20 to 30 minutes, it really depends on your oven and how brown you want your cookies to turn out. Really easy right? So go make these cookies or have someone make them for you, your life your rules. And most importantly, let me know how it turned out. I didn’t !! I swear they took my cookies ! I never saw you letting anyone take your food before. You got soft kiddo.